A Youth Psychiatrist wrestles with issues in mental health. Many of you have asked, “Hey Teenshrink, this is all well and good, but what about teens?” The question is understandable given the name of this blog. But patience, there is method to my madness. In order to make sense of teens, I felt the need to set the stage. Adolescence only really makes sense if you understand the foundation it is built on. Hopefully I have shed some light on this foundation so far. Adolescents sit perched on the gateway between childhood and adulthood and it is in these years that an astounding array of mental health difficulties have their origins. Roughly half of all lifetime mental disorders, in most studies, are found to start by the mid-teens and three quarters by the mid-20s. The peak age of onset for all mental illnesses is 14 (according to the National Comorbidity Survey). It may come as little surprise therefore that many parents are overcome by a strange pessimism at the mere thought of parenting their children through these ages. 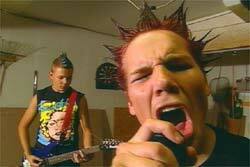 But with some insight into the brain and soul of the teenage years it should be possible to reduce such pessimism. Eric Ericson was one of the first theorists to extend the theory of development out of childhood. This was unlike Freud and many of his early disciples who seemed to have difficulty looking beyond early childhood. 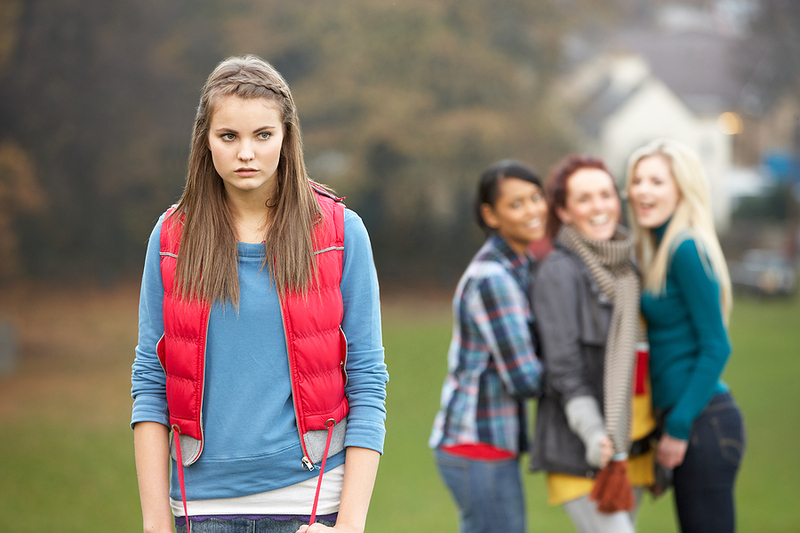 According to Ericson’s theory, basic interpersonal patterns of trust, cooperation, autonomy, mastery and sensitivity to shame and guilt may have been established by the time of adolescence, but the challenges of identity formation and integration into the broader community await the teenage years. Adolescence has been defined as beginning with the onset of puberty and ending with the establishment of an independent role in society. However that timespan seems to be expanding in our western culture. The average age of puberty has been decreasing (for reasons that have not been established), and the age of establishing an independent role in society has been getting later. With the age of social media upon us, this time period has become ever more complex and tumultuous! So what is going on in the brain during these years? Although the brain has achieved 90% of its size by the age of 6, the amount of white matter in the brain continues to increase into the thirties. White matter is the part of the brain that acts like highways. Meanwhile the houses in the city of the brain are the gray matter. The gray matter begins to decline through middle adolescence. This has been referred to as synaptic pruning, but occurs inconsistently across various brain regions. The prefrontal cortex is one of the areas that fully matures through this time period. 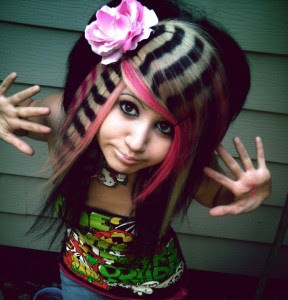 With its increased differentiation and interconnection the teenager becomes able to think more abstractly and experience greater self-awareness than ever before. This leads the adolescent to begin to ask him or herself the question “Who am I and where do I fit in?” in ways that younger children cannot yet do. The answer to this question for us, among the most social of mammals, has been incredibly important to our survival. Perhaps for this reason the teenage brain appears to demonstrate a heightened sensitivity to social stimuli such as facial expressions. The medial frontal area of the prefrontal cortex used by adolescents to decode facial expressions is more actively linked to the emotional brain than the superior temporal area used by adults for similar tasks . Therefore, the job of decoding facial expressions is much more tightly linked to the emotional brain in adolescence than it is in adulthood. For this reason it seems that non-verbal signals are more likely to lead to powerful physical and emotional reactions in adolescence than at any other time of life. Strangely as a culture it seems we in the “western developed world” have gone down a rather strange road when it comes to how we approach this critical time of adolescence. In their book "Escaping the Endless Adolescence", psychologists Joseph and Claudia Worrell Allen note that teenagers in the US spend just 16 hours per week interacting with adults and 60 hours with other adolescents. One century ago it was almost exactly the opposite, as it continues to be in more traditional societies. The implications of this may be very significant. Gordon Neufeld and Gabor Mate argue convincingly in their book, "Hang Onto Your Kids", that this environment, devoid of adult influence, increases the pressure on peer relationships and interferes with the parent child attachment bond that remains an important tether for the ongoing development for the adolescent. With weaker parent-youth bonds, youth are more likely to turn to their much more available same aged peers to meet their ongoing needs for nurturance and guidance. With the increased power of technology and social media this becomes seductively easier, and many parents unwittingly encourage this. Unfortunately, the results for the parent-teen relationship can be devastating. Once teens have tuned out parent for their nurturance needs, and tuned in their same aged peers, parents lose their natural parental authority and peers take over this powerful mantle of influence. The guidance these teens tend to receive from other adolescents rarely encourages the long term goals and values that adult caregivers would be likely to encourage. This shift in focus to same aged relationships is something that is almost taken for granted in our culture, but it inevitably leads to frustration among parents who find their offspring beyond their influence. Often parents either throw up their hands in defeat, or alternatively turn to harsh punishments which can result in further estrangement and resentment and breakdown of trust. Hopefully, with our greater understanding of neurobiology and of the developmental importance of the attachment relationship, we as a society may come to rethink our approaches to our vulnerable youth. Rethinking our approach to isolating youth in same age cohorts and instead integrating adolescents more successfully into integrated, age stratified, social contexts would certainly be worth considering. Perhaps by doing so we may see some reduction in the rates of adolescent mental health problems, violence, substance abuse and relationship problems that have come to dominate our news sources in recent years. I have returned from my conference in LA, which was truly inspiring. I followed this with a family vacation where I finished reading Robert Scaer’s book – 8 Keys to Brain-Body Balance, which I highly recommend to any of you interested in the Brain-Body interface or developmental neuroscience in general. Robert Scaer has been himself deeply influenced by the work of Peter Levine, who presented at the conference, and whose work I found deeply moving and inspiring. In this post, I would like to cover some of the key points that have hit home for me over the course of this conference, focusing on some of the overlaps between presenters and, in particular, some of the key insights from the work of Peter Levine and Robert Scaer. (Scaer unfortunately did not present at the conference). First, I would like to refer to a concept that was raised repeatedly at the conference. 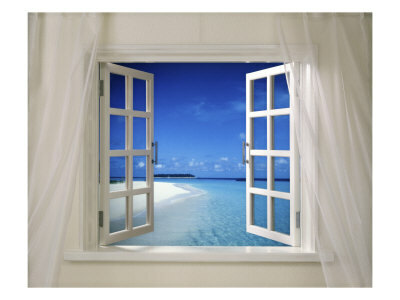 This is the concept of “windows of tolerance”. What this concept refers to is how we develop a range of emotional and physical responses over the course of development. In this process our nervous system and our physiological responses become integrated and we develop a changeable set-point (sort of like a thermostat). This occurs through a very complex interaction of our genetic make-up and our lived experiences. Many of the key points of this development I have referred to in my previous posts (Allan Schore's work). Through these repetitive and rhythmic interactions in the womb and in the first 2-3 years of life, our physiology and nervous system may develop a broad range of flexible arousal which allows us to adapt to many different situations in our environment (i.e. a wide window of tolerance – see figure 1). 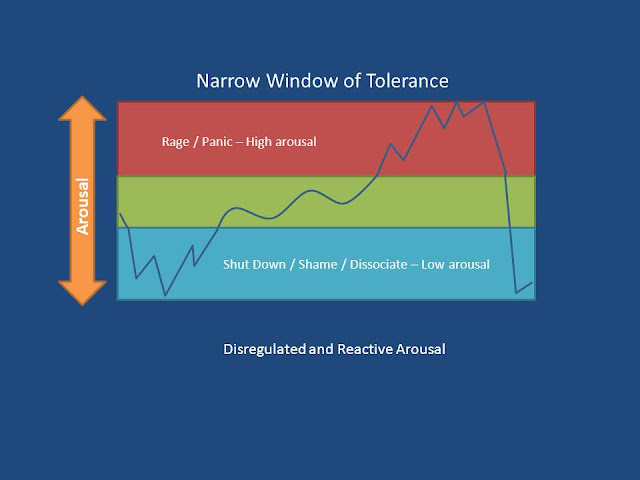 Alternatively we may find ourselves with a narrow window of tolerance, outside of which we experience disruptive reactivity or paralyzing immobility (see figure 2). 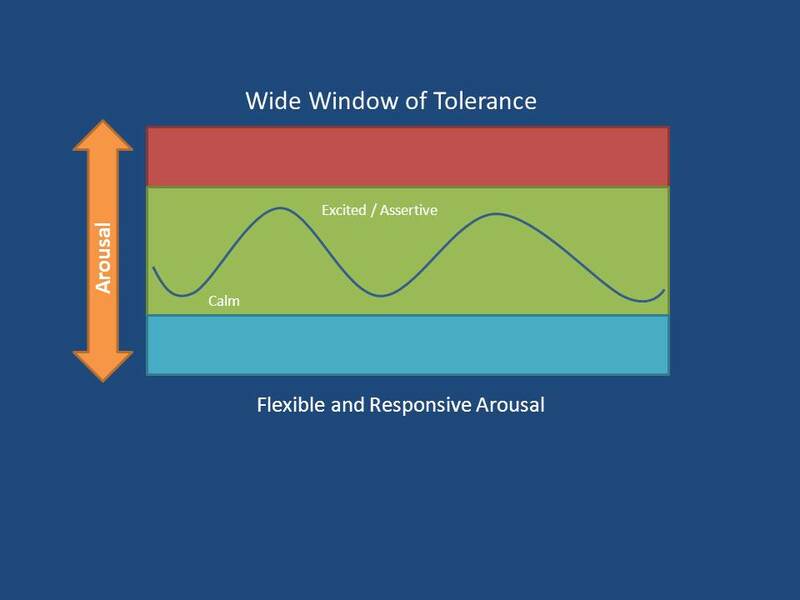 Healthy attachment and attunement, in the context of a stable environment and community, lead to wide and functional windows of tolerance. Alternatively expressed genetic factors and or environmental factors, that interfere with this development, lead to narrow windows of tolerance. 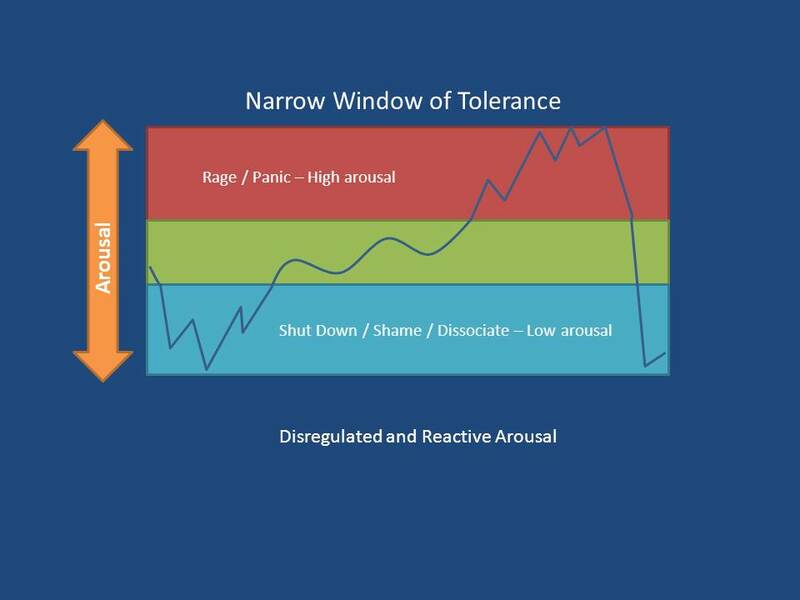 A narrow window of tolerance may lead to strategies to avoid extremes, resulting in rigid patterns of behavior, or alternatively, a tendency to experience extremely chaotic emotional states. Robert Scaer has proposed a robust theory of body-mind interactions that expands on the physical implications on this brain body balancing act. He explains the implications of being is a state of chronic high arousal. When the thermostat is set too high, into the chronic arousal state at the top of the graph, the body releases cortisol which over a long period of time can result in chronic health problems, such as high blood pressure, obesity, diabetes, stroke, and suppression of the immune system. High cortisol also results in damage to the hippocampus which I have explained in a previous post is responsible for memory and learning, therefore causing memory impairment and learning difficulties. In the extreme, these high arousal states can result in paranoia and psychosis. On the other hand when the thermostat is set too low, low arousal states can lead to problems with chronic fatigue, heart irregularities, irritable bowel, asthma and overactivity of the immune system. A key factor that can lead to narrowing of our windows of tolerance is trauma. A traumatic experience is any experience that at the developmental stage of the individual (which varies accross development and with experience) pushes them completely out of their window of tolerance, with no expectation of safety. Scaer goes on to explain that when we have a traumatic experience we may enter a freeze state. 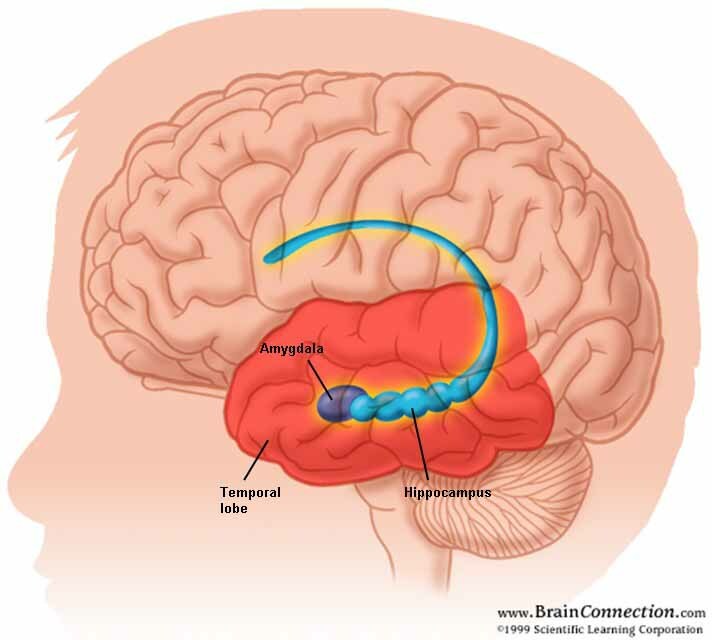 The key brain area that assesses our environment and engages the freezing response is the amygdala. The amygdala is active from the third trimester of a fetus' development, and therefore, Scaer points out, we are susceptible to trauma even prior to being born. Traumatic memories are not encoded in the part of our brain that encodes ordinary memories. Those ordinary (explicit) memories are encoded by the hippocampus, which does not come online until the second to third year of life. In trauma, the hippocampus is disabled, as are the parts of our brain that control language. When this occurs the motor movements and sensations that we are engaged in just prior to this are stored in a form of memory called procedural memory. If this state of action and sensation is not “discharged”, which requires entering a state of calmness where we can return to emotional state prior to the trauma, these motor and sensory memories remain active and the traumatic state is stored in a sort of "perpetual present". (Scaer himself had a facial tic which was a remnant of traumatic incident he experienced at the age of 4.) Motor memories can lead to chronic changes in posture, tics or stutters. Sensory memories can lead to chronic pain conditions, an example of which is the phantom limb phenomenon. Peter Levine has developed a therapy which he has named Somatic Experiencing which engages the client in gradually accessing the stored motor and sensory memories of trauma, while deactivating the amygdala by careful attunement and providing resources to the patient that establish safety and empowerment. In summary, the brain and body exist in a complex relationship with one another. Various life experiences can contribute to healthy and flexible brain-body interactions and others can lead to rigid or chaotic brain-body states. With a deeper understanding and appreciation of these patterns, we in the healing professions may be capable of profound healing. Without this understanding, we run the risk of perpetuating or even worsening these imbalances. In general, our health care system remains ignorant of these interconnections and we continue to treat the brain and body as strangely disconnected. Hopefully as the neuroscience and physiology of these interconnections becomes better understood, we will become better at improving the brain body balance in ourselves and in those we care for. It has become a part of pop culture to refer to the right and left brain, ever since the “split brain” studies of the 60s and 70s. In these studies patients who had their brains surgically divided with a surgical procedure to control epilepsy were subjected to psychological tests to evaluate the differences between the hemispheres. This led to a popularized stereotype of the hemispheres that McGilchrist debunks in his very comprehensive survey of this topic, while bringing the most up to date neuroscience to the table. In this way McGilchrist synthesises a very new construct of the important differences between the two hemispheres of the human mind. McGIlchrist takes an evolutionary look at how this specialization of the hemispheres developed, pointing out it’s origins in birds and mammals. McGilchrist posits that this lateralization evolved because of the adaptive advantage of having two kinds of attention that we can use at the same time. The left hemisphere attention system is narrowly focussed, predictive and exclusive, making it ideal for predatory, scavanging, or tool making and using tasks, while the right hemisphere attention system is wide ranging, inclusive, integrative and less predictive making it ideal for being on the look out for surprises, unexpected dangers or opportunities. By dividing itself in two, the mind can run both processes simultaneously which has massive and obvious survival implications. With social birds and mammals the hemispheres also specialized in their social functions. The right hemisphere taking on the role of holistic appraisals of the social world and it’s opportunites and dangers while the left using more practical strategies for manipulating social situations and presenting a social “persona” to the world. The main point here is that the left hemisphere tends to ignore context, which is both it’s great strength (separating relevant information from the whole, so as to manipulate it more effectively) and it’s weakness (losing sight of the forest for the trees). Developmentally the right hemisphere is the earlier developing hemisphere. It stores the implicit learning of attachment experiences and it learns the implications of non-verbal information in our environment. It connects our social world to our physical world of stress responses, motivations and behaviours. This learning is chiefly organized by the subcortical brain structure known as the amygdala, which becomes active before birth. This right brain learning is implicit (unconscious) and enduring. The left hemisphere begins it’s growth spurt later (from 18 months or so), and it begins it’s process of naming and analyzing the world and developing more explicit (conscious) connections and strategies. The chief subcortical region that encodes this learning is the hippocampus, which comes online later and is more vulnerable to stress and injury. McGilchrist’s thesis includes the argument that the western world has come to highly value left hemisphere knowing while undervaluing right hemisphere knowing. He argues that western culture tends to be reductionistic, glorifies factual knowledge and is dismissive of experience or context. I would agree that our modern approaches to society and child rearing have reflected and influenced this bias. We have tended to devalue communities, sacrificing them to the conveniences of parking lots and personal sanctuaries. We have also undervalued the developmental window of the right hemisphere, namely the first 18 months to 3 years of life with inadequate maternity leaves and insufficient support for at risk mothers, with the result that infants all too often are raised in crowded daycares or in front of screens watching “Baby Einstein”. Hopefully, with the vision of new influences such as McGilchrist's this new era of neuroscience will bring a deeper commitment to the knowing of the right hemisphere. 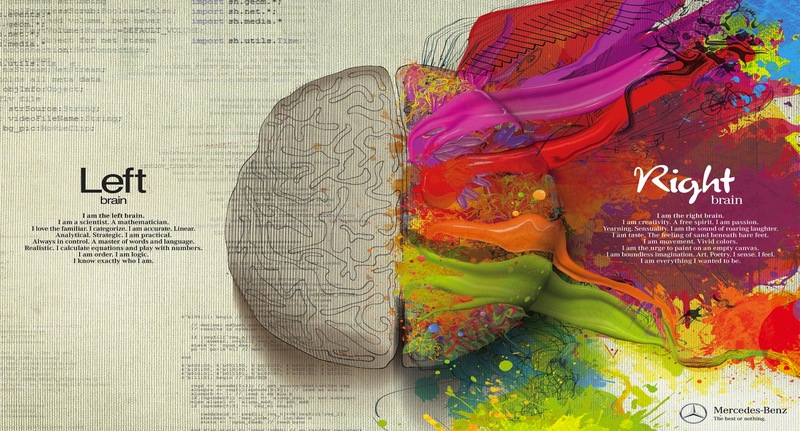 The right’s hemisphere’s inculsive nature is naturally empowering of the left. Mental health is not a contest between the hemispheres. The goal of all mental health work, ultimately, involves the healthy integration of both ways of knowing. However, I have been continuing my exploration of the world of Interpersonal Neurobiology and how it is shaping our view of human development and mental health. One fantastic source I have stumbled across is Dr. David Van Nuys podcast, Shrink Rap Radio. I have posted a link to his webpage at the bottom of the left sidebar and I recommend it to all, clinicians and non-clinicians alike. Dr. Dave, as he calls himself, is a psychologist who has taken it upon himself to interview thinkers and practicianers in the fields of psychology, psychotherapy, mental health, spirituality and neuroscience. I have been very impressed with his interviews and the selection of his guests. Thank you Dr Dave! I agree with David's recent musings that we are seeing a grand integration in mental health theory that is being lead by advances in neuroscience. This is very exciting. We may soon see a day where the various theoretical schools of psychology, social work, psychiatry and healers of all disciplines will be able to find scientifically supported common ground and find grand unifying mechanisms in the work of healing and recovery. I am looking forward the 2nd Annual Interpersonal Neurobiology conference I will be attending in LA. Let me recommend Dr. Dave's interview with Daniel Siegel that I just listened to. This conference is Dr. Siegel's brain child and his grand vision of the workings of the mind is one I certainly ascribe to. Let me quote his definition of the mind for you. "The mind is a relational and embodied process that regulates the flow of energy and information within an organism." It is in the concepts of "relational" and "embodied" that we are making the most headway in developing new understandings in neuroscience in the last decades. I see that we are entering a new paradigm where neuroscience is escaping the age old trap of reductionism. By understanding the mind and neurobiology as relational and embodied we can understand the transcendant aspects of mind and self. This is the key to great improvements in cooperation and wellbeing. I look forward to updating all of you on my experiences at the conference. Against genetic and environmental determinism. It has been a very busy week as tends to happen in November, as the hours of sunlight decline and the expectations at school increase. So I will not add another chapter this week to my vision of the dance between genetics and environment and the origins of mental illness. I hope I have engaged you in this dance, as it begins in the first years of life. I hope I have brought a slightly different perspective of the context of mood states and the relational nature of our selves as we emerge from potential selves to actual selves. My hope here is to break out of the dichotomy of genetic determinism and its opposite pole of environmental determinism. In breaking out of these two positions I hope to get away from the idea that mental illness needs to be blamed on individuals. Nuclear families (and sometimes single parents) have the burden of being the guardians of children's development on their shoulders in our modern world. Yet they cannot be expected to carry this burden alone. We must join them in taking responsibility for the environment of development as a society. Blaming parents for the ills of children is counterproductive and unfounded. Parents are usually doing their very best in difficult situations. I believe in shared responsibility, not blame. As mental health providers we can take our share of responsibility and empower others to take theirs, while facilitating access to the support that will make this possible. The idea of genetic determinism is tempting as an ideology which absolves others of responsibility, but it is untenable. Genetic determinism also disempowers the individual and the family suggesting that genetics is destiny and that only perhaps genetic interventions or alternatively palliative psychopharmacology are options. These are false conclusions. I hope you have a good November week. Our modern world can pose enormous challenges for the relationships we rely on most. In this post I want to explore the attachment relationship and what we have learned about the instinctual reactions manifest by children and adults when they perceive these reactions as threatened. John Bowlby and his colleague James Robertson created a documentary in 1952 titled “A Two Year old goes to the Hospital”. 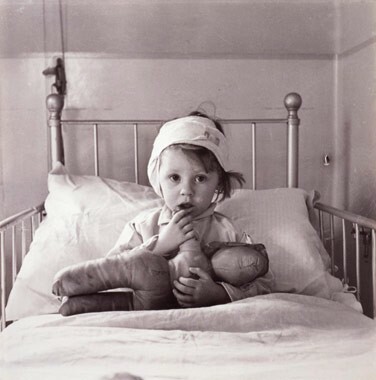 This film depicted the series of stages a two year old underwent while hospitalized and separated from her parents. At the time it was hospital policy for children to be separated from parents while undergoing hospital treatments, with parents having as little as once a week contact with their hospitalized child. This was a practice that would change, in part due to this very documentary, as viewers of that time reacted with concern to the impact of such separations on very young children. In his seminal work, Bowlby explored attachment disruptions of various kinds and detailed children's emotional reactions to these disruptions. When attachments are threatened, children react at first with anxiety, a high energy state that promotes calling and clinging. When attachments are threatened further these reactions are often heighten into a stage he referred to as protest, which can include anger. Bowlby proposed that this high energy state might allow a child to overcome obstacles to reuniting with the attachment figure and communicate reproach in an effort to discourage the attachment figure from becoming unavailable in the future. If these efforts fail, the subsequent stage Bowlby described was the low energy state of despair, characterized by sadness, listlessness and resignation. One can see how this would also be an adaptive survival behavior for a child, conserving energy and avoiding danger when separated from a parent. This stage was followed by a stage Bowlby referred to as detachment. In this stage the child mobilizes energy, but attachment emotions are downplayed. Bowlby hypothesized that this was a defensive reaction, inhibiting unhelpul emotions in order to go about the necessary activities of survival. In hospital, the youngster would start to allow care from the nurses and engage in day to day activities. However when parents would return, children would ignore or avoid them. This detached reaction could go on for some time before the child would begin to demonstrate attachment emotions (including anger and clinging) towards the parent once again. Bowlby's stages may sound familiar, as they are related to the stages of grief and loss that we continue to manifest throughout adult life as we respond to threats or losses to our ongoing attachment relationships. Here we see the full range of emotional reactions of fear, sadness, anger and numbness in the context of relational states. Very young children may manifest these emotional states in their efforts to reestablish or cope with threats to their key relationships. It is important here to understand that working models of attachment and their connections to emotional states are coded in implicit memory, in the early developing right hemisphere. Therefore the child, and later the adult, is often not aware of the reasons for their emotional reactions to these attachment cues. The older child, when asked why they are frightened or angry will often answer truthfully that they do not know why. At times they will attribute their fears to monsters rather than the loss of the attachment figure, or their anger may be directed at a target other than the attachment figure. In our modern world we no longer separate children from their parents in hospitals. However our children do experience long periods of separation from parents. 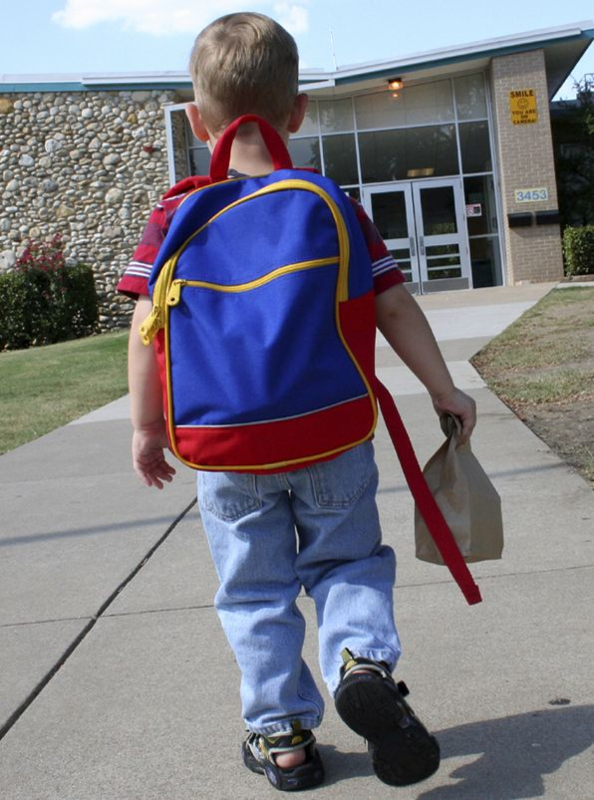 In overcrowded daycares and schools, often with both parents employed to meet the demands of modern expenses, very young children continue to experience threats to attachment. Parental isolation and depression can lead to parents being unavailable due to their own emotional states. Children frequently turn to other children for their attachment needs, a pattern that has become increasingly common as children can now contact one another easily with electronic devices. Although more common in adolescence, children can turn towards other children as their source of comfort and preferred source of positive attention. In this process they start to identify with peer values rather than adult values, much to their parents chagrin. Within these unstable relationships with peers, children can turn on one another or themselves in an effort to gain the acceptance and security that they crave. Parents can often feel helpless to reestablish these bonds once they have fractured despite their best intentions. As children react to perceived attachment threats with the range of emotional states that Bowlby first identified, these emotional reactions themselves can increase the challenges in these fragile relationships with parents. Fear and clinging can lead to parental frustration and resentment. Anger can result in defensive anger in parents. Sadness and withdrawal can be perceived as rejection by a sensitive parent or laziness. It is easy to see how emotional reactions can lead to cascading relationship breakdowns in fragile social situations. 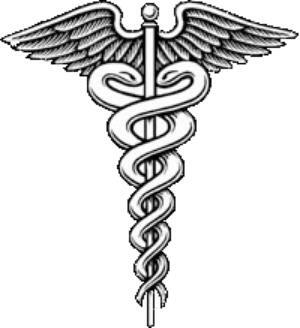 Unfortunately the remedies health care providers sometimes prescribe can contribute to the problem. These interventions can range from ill-advised exposure exercises in anxious children, to harsh time outs or punishments or cracking down with tough love on an unmotivated youngster. If we do not tune in to the need for restoring attachment relationships, these problems can often escalate. Healthy attachment relationships form the underpinnings of natural parental authority. In "Hold Onto Your Kids", Gordon Neufeld and Gabor Mate have argued persuasively for promoting parental attachment in a world where peer attachments can easily become all-consuming for young people. We should be careful to not inadvertently undermine our own role as parents by overdoing our promotion of peer activities and ourselves adding to the already existing pressure on youngster's to “fit in” with peers. It is time we developed a better understanding of the relational context of the mental health of our young people. Perhaps one day we will look back on the daycare and school environments we accept as ordinary today with as much disbelief as we do the hospital environments of 60 years ago. Under stress are you cool as a cucumber or hot headed? Do you trust others to be available, or doubt them? 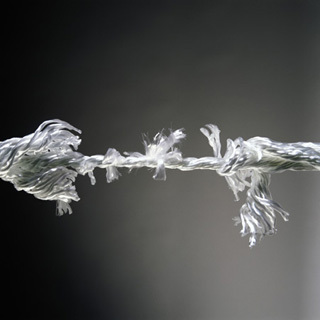 Do you tend to withdraw from your partner when stressed or cling to them? Do you challenge authority and feel more comfortable when you are in charge, or do you hate to rock the boat? The early stages of development have a lot to do with the “working models” we use to decide on how to include others or not include them in our lives. In the last two posts I discussed the process of attunement and sensory regulation that begins in the first nine months and the process of shame states and repair of the second nine months. When this process goes well it allows us to enjoy exploring our world and to respond appropriately to the needs of others. In this post I will discuss how we negotiate our needs with the caregivers in our world. In this post, I want to discuss the concept of attachment, first identified by John Bowlby in the 1950s. Attachment is a relationship between an infant and its parent that evolves through the first year and a half of life. It is a process whereby an infant creates a “working model” to predict and direct the availability (that is the accessibility and responsiveness) of caregiving others in their world. In this process infants figure out in whose arms they will find comfort when it is needed and how to get it. From the sixth week of life the infant can tell his caregivers apart and begins to respond unhappily when they are in the care of a stranger. Infants show preference for one caregiver who becomes the infants primary “attachment figure”. Human infants can allow (remember my earlier post "Mothers and Others") more than one attachment figure, but there remains a hierarchy of the most preferred attachment figure which the infant will select when available, and demand when most alarmed. Infants bond to their primary caregiver through the process of attunement, that is with a caregiver who is sensitive and responsive. The quality of this social engagement is more important than the amount of time spent with that caregiver. The attachment system is a motivational system which leads the infant to seek out its caregiver for safety, security and protection when it is distressed. When the attachment system is aroused the infant is less able to calmly explore their surroundings. The infant will vocalize and call the caregiver and, when able, will move towards the caregiver. When they have safely been reunited with the caregiver, the distress resolves, the infant is comforted and they can resume exploration. The biological utility of this behaviour is clear. In the process of evolution, having a well-tuned attachment system maintains the safety and security of infants in an uncertain world. The neurobiology of this system is now well understood. A stressful situation activates the infants sympathetic nervous system (speeding up heart rate and mobilizing energy), the motivational system (involving the dopamine system) is now directed away from exploration and towards seeking out the caregiver When this is achieved the infant is soothed and comforted (a process involving oxytocin, serotonin and endorphins). When this behaviour pattern works, it is reinforced. If it is not successful, other patterns of behaviour emerge. Mary Ainsworth, a colleague of Bowlby, was a pioneer in studying toddlers’ attachment behaviour. She set up a series of laboratory scenarios that would mildly stress toddlers and observed how they responded. She identified three patterns of attachment. Further work by Margaret Main added a fourth pattern. Ainsworth separated attachment styles into secure and insecure. The most famous observation scenario she created to rate children was called the “Strange Situation”. In this scenario the parent and the toddler are in a room, and are joined by a non-threatening stranger. At a prearranged point the parent leaves the room unannounced. After a few minutes, the parent returns. Securely attached toddlers were seen to protest (cry and call) when the parent left, but were able to calm quickly when the parent returned and comforted them. Ainsworth also identified two patterns that she referred to as insecure attachment. In the first, the child does not protest when the parent departs and when the parent returns the child ignores, avoids the parent, or approaches very hesitantly. Despite not protesting, the child’s exploration of the toys deteriorated and later studies revealed that these infants are showing stress reactions (elevated heart rates etc.) during the departure even though they are not protesting. This pattern was termed an avoidant attachment . In the second pattern, the child does protests, often in a dramatic fashion, sometimes clinging tightly to the departing parent. When the parent returns the infant continues to protest, even directing aggression toward the parent and does not settle for some time. This second “insecure” pattern was referred to as an ambivalent attachment. Mary Main demonstrated a fourth pattern, which she referred to as an insecure disorganized attachment. These infants appeared to be confused as to how to respond. The child might protest and then withdraw or appear frozen in indecision. This pattern has been demonstrated to occur in the most troubled of parent child situations and has been related to the worst outcomes. None of these patterns is in itself a “disorder”. They are merely relationship patterns. They have also been shown to have remarkable staying power although they can change as development progresses. These pattern have been shown to persist into adulthood in our relationships with significant others in our life. Attachment patterns are strategies of communicating with a caregiver, and the ability to use that caregiver to become calm when faced with stress. Avoidant children have learned not to call their parent, as calls have not been attended to, or they have learned to inhibit their calls, having determined it is best not to burden their caregiver unless it is very necessary. Ambivalent children have learned to turn up the volume of their protests when distressed. They demand the presence of the caregiver loudly, and have determined that this is the best strategy for getting their needs met. 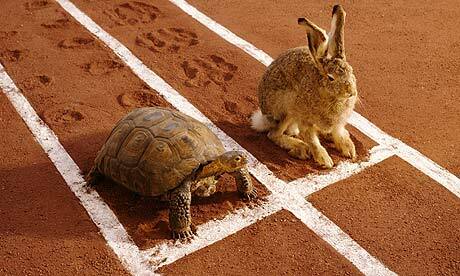 In the end we have extremes of active versus passive strategies. Disorganized children may flip flop between these strategies, at times seizing control, and other times becoming passive. It is important to point out here that the child’s behavior is not related to the parents love for their child. Parents who very much love their children can be unavailable for many reasons or can be stressed by a multitude of factors. Also genetic or environmental (toxins/medical/trauma) factors may interfere with a parent's capacity to soothe a child despite their best efforts and availability. Any one of these strategies may be a functional strategy in such situations for a child. In the last post we explored how children learn to accommodate their behaviour to the needs of others. In this post we have seen how children communicate responsibility to those others for their needs. These relationship patterns persist into adulthood and determine the patterns we engage in, in our most intimate relationships, when we are in need. These intimate relationships in turn are the relationships we rely on for support when we become the caregivers for the next generation. We, as a society, are charged with providing as supportive a community as possible to young parents, of all attachment styles, as they face the challenges of meeting the needs of their young ones. In this way we allow them the best opportunity to create sustaining relationships that will provide a strong foundation for the next generation. Dr. Michael Ocana is a child and adolescent psychiatrist who is the medical lead for an inpatient unit specialized for the treatment of adolescents with mental health issues in Kelowna, British Columbia, Canada. He also provides psychiatric consultation to youth in crisis and to patients of all ages who are struggling with eating disorders.